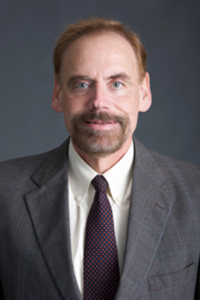 Professor Feinerman joined the Law Center faculty as a visiting professor for the 1985-86 academic year. Immediately after law school he studied in the People’s Republic of China. Subsequently, he joined the New York firm of Davis Polk & Wardwell as a corporate associate. During 1982-83, Professor Feinerman was Fulbright Lecturer on Law at Peking University. In 1986, he was a Fulbright researcher in Japan. In 1989, he was awarded a MacArthur Foundation fellowship to study China’s practice of international law. During the 1992-93 academic year, he was a Fellow at the Woodrow Wilson International Center for Scholars. From 1993-95, on leave from the Law Center, Professor Feinerman was the Director of the Committee on Scholarly Communication with China. Professor Feinerman served as Editor-in-Chief of the ABA’s China Law Reporter from 1986-1998. Also, Professor Feinerman was the Co-editor of The Limits of the Rule of Law in China (2001), and Co-Author of China After the WTO:What You Need to Know Now(2001). James V. Feinerman. Pioneering the Study of Chinese Law in the West: Comment on Law and China's "Open Policy": A Foreigner Present at the Creation by Jerome A. Cohen, 65 Am. J. Comp. L. 739-744 (2017). James V. Feinerman, Remarks, The Changing International Economic Balance of Power, 102 Am. Soc'y Int'l L. Proc. 298-301 (2008). UN Human Rights Council's Review of China's Record: Process and Challenges: Hearing Before the Cong.-Exec. Comm'n on China, 111th Cong., Jan. 16, 2009 (Statement of James V. Feinerman) (CIS-No. : 2009-J891-7). "Penalty expected against bank on account disclosures," coverage by China Daily, November 27, 2015, quoting Professor James Feinerman. "UPDATE 2-U.S. judge holds Bank of China in contempt for withholding records," coverage by Reuters, November 24, 2015, featuring Professor James Feinerman. "US judge holds Bank of China in contempt in counterfeit luxury goods case," coverage by CNBC, November 24, 2015, quoting Professor James Feinerman.